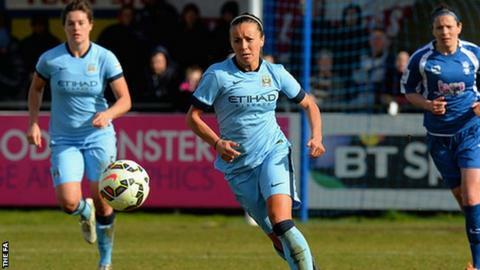 Manchester City Women and Wales winger Natasha Harding says she is unsure when she will recover from her ankle injury. The 26-year-old sustained the knock whilst playing against Birmingham in Women's Super League One on 12 July and has not featured for City since. "Will keep you all posted!" Wales open their Women's Euro 2017 qualifying campaign against Austria on 22 September, before facing Norway away on 23 October. The midfielder is mid-way through her first season with Manchester City in which she has made eight appearances for the club.